28 May 2013, 10:10 a.m.
ServiceNow is a global leader in providing cloud-based services used by enterprises to streamline and automate their IT operations. They’re known for their expertise in IT Service Management (ITSM), speed of development cycles, and commitment to open source including MongoDB and NoSQL. 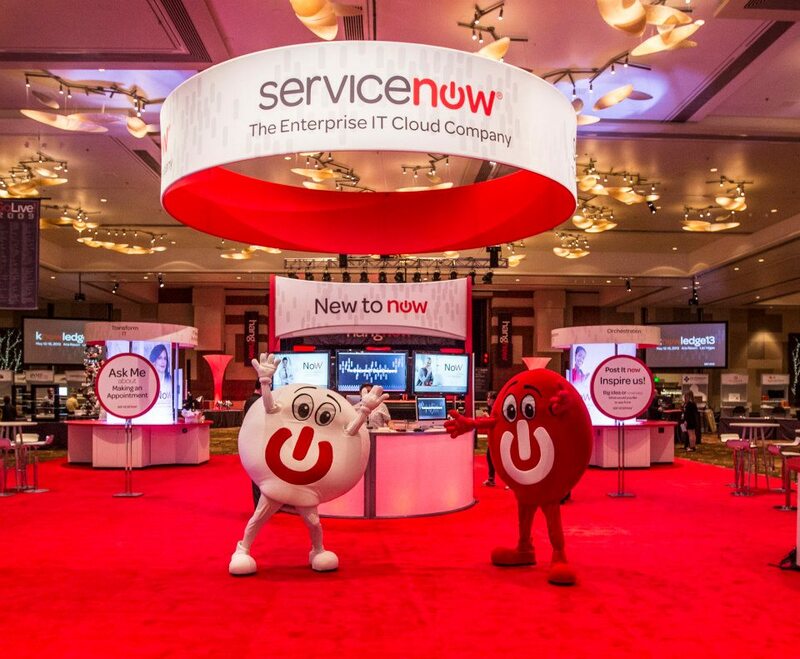 ServiceNow also has one of the most enthusiastic, rapidly growing and loyal customer bases in enterprise software. Matt Schvimmer, VP Product Management at ServiceNow, credits the goal of attaining 100% customer referenceability combined with intensive focus on user experience design as contributing factors to their rapid growth, in addition to continuous feedback cycles they use for capturing and acting on customer feedback. On May 13th they held their Financial Analyst Day at the Aria Resort & Casino in Las Vegas, the same location they hosted Knowledge13, their annual user conference held May 12th through the 16th. You can download a set of the slides presented at the Financial Analyst Day here, and view videos and presentations from Knowledge 13 here. ServiceNow executives are calling the next phase of their growth ERP for IT. Both in the Financial Analyst Day presentation and the presentation given by President and CEO Frank Slootman at the Pacific Crest Emerging Technology Summit on February, 13th, this concept is shown. Below is a slide from the February 13th presentation given at the Summit. You can download the slide deck from the Pacific Crest Emerging Technology Summit here. I had the opportunity to catch up with Arne Josefsberg, CTO of ServiceNow during Knowledge13. He shared insights into how ServiceNow’s core customer base, predominantly CIOs and their IT Departments, are driving greater business value into their organizations using the Service Automation Platform. Arne mentioned that ServiceNow sees IT Operations Management (ITOM) and Platform-as-a-Service (PaaS) as critical to their growth, in addition to enabling those without programming expertise (ServiceNow calls them Citizen Developers) with intuitive, easily used application development tools. Adopt Cloud Architectures With An Open Mind And See Them As Business Value Accelerators. Arne advises CIOs who are considering cloud-based initiatives to concentrate on capturing and communicating business value first, including time-to-market, cost and time savings advantages. Getting beyond a purely cost-cutting mindset is critical for IT to become a strategic partner with business units. He says that he’s seeing CIOs gain a greater voice in strategic planning initiatives by clearly defining the business value of cloud-based development while pursuing rapid application development. Taking a leadership position in application development leads to gaining greater influence and involvement in strategic plans and initiatives. This point galvanizes the entire ServiceNow executive team, they all speak of enabling the Citizen Developer to create new applications on their platform without writing a single line of code. ServiceNow and their customer base have bonded on this issue of rapid application development. And watching Fred Luddy, Chief Product Officer of ServiceNow move quickly through application development and deployment scenarios during his keynote showed how deeply engrained this value is in the company’s DNA. CIOs need to realize that their resource and human resource management needs in five years will shift to business transformation away from IT alone. There is a shortage of IT analysts and professionals who are adept at being business strategists, capable of leading transformational application development. IT analysts and experts need to be trusted partners with business units, continually moving IT-related barriers out of the way while streamlining new application development. Arne cited how General Electric is excelling on this dimension, consolidating 17 incident management systems into a single ServiceNow application. All that was possible because the IT teams at GE are an essential part of business unit operations. CIOs need to move beyond managing IT using cost and efficiency alone and think in terms of opportunity-to-cost instead. Arne’s point is that the most respected and counted-upon CIOs he knows today are either making or have made this transition. They have moved beyond an IT legacy mentality of managing just to cost or efficiency. Instead, the CIOs emerging as strategists and core members of the executive team are aligning IT as a core part of their company’s ability to compete. Use cloud architectures and rapid application development to make IT more strategic in scope now. The companies winning awards at Knowledge13 for their applications showed a common thread of anticipating and acting on the strategic needs of their business quickly, often delivering completed applications ahead of schedule and under budget. Bottom line: Making IT strategic begins by moving away from the constraints of managing to cost and efficiency metrics alone. Cloud-based platforms and rapid application development technologies are assisting CIOs and their staffs to be more strategic, less tactical, more responsive and focused on line-of-business needs and requirements first. Disclosure: ServiceNow paid for travel to Knowledge13. I’ve never held equity positions in ServiceNow, and they are not a client. 5 Jun 2013, 6:12 a.m. Broker of services which will be a mix of traditional IT, private cloud and public/ hybrid cloud. IT departments need to adapt to survive. Cloud vision needs to be strategic not tactical. Go to cloud not for just cost savings though.